Algerian-Irish jihadist Ali Charaf Damache, who pleaded guilty to terrorism charges in July, has been sentenced to 15 years in jail, prosecutors in Philadelphia said. Damache, 53, known by the online pseudonym "Theblackflag," was arrested in Spain in 2015, where he was suspected of plotting the murder of a Swedish cartoonist who had lampooned the Prophet Mohammed. He was extradited to the United States in 2017, accused of being the ringleader of a jihadist cell that was plotting attacks in Europe and southern Asia. "Today's sentencing marks the end of a long and arduous prosecution that has spanned more than nine years, involved four defendants and five unnamed co-conspirators, and required multiple coordinated international arrests and two extradition applications," US Attorney William McSwain said in a statement. "Damache and his co-conspirators were motivated by hate and prejudice, and their criminal activities presented a very real danger to our country and the world," he said. In negotiations over his agreement to plead guilty, Damache had accepted a 15-year prison sentence and renounced any appeals. 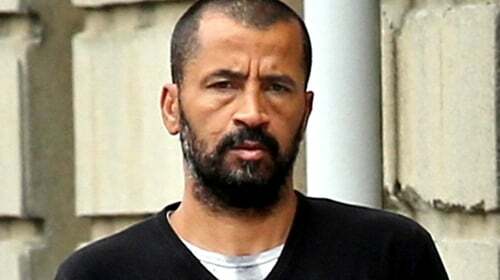 He also agreed to extradition to either Ireland or Algeria once his US sentence has been served. Spanish officials said that when he was arrested in Barcelona in December 2015, Damache was plotting the murder of Lars Vilks, a Swedish cartoonish who had drawn caricatures of the Prophet Mohammed. Another member of his cell, US citizen Colleen LaRose - dubbed "Jihad Jane" - was sentenced in 2014 in Philadelphia to ten years in jail for terrorism-related crimes. In 2015, the High Court refused a US request to extradite Damache to the United States.